Motor control center (MCC) containers provide the foundation for efficient power and automation systems that optimize production efficiency by centralizing critical components in a single location. Gettle’s automation team delivers comprehensive motor control center container solutions from design and engineering through installation and ongoing maintenance. Our turnkey approach provides a single source of responsibility capable of managing the total project lifecycle while delivering maximum budget and schedule efficiencies. At Gettle, we have experience with MCC container design and installation for components of all sizes – from small enclosures where space is a premium to large-scale manufactured buildings with heating, cooling and lighting systems. Custom built motor control center enclosures utilizing once used sea land containers with or without control rooms. 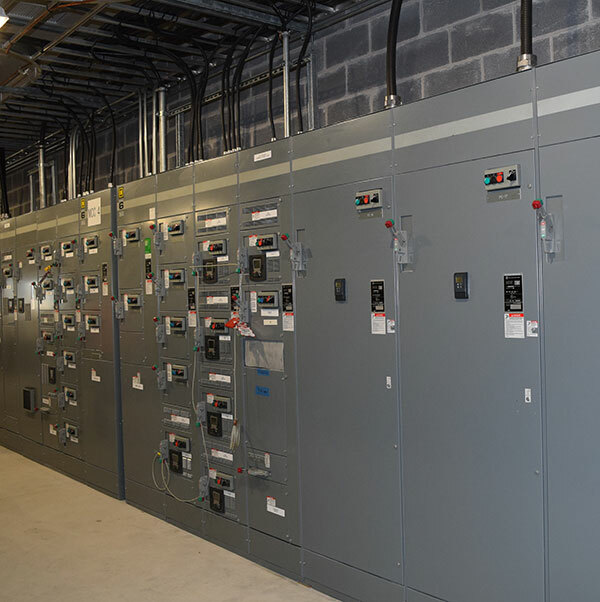 Manufactured buildings modified to house MCC’s, switchgear, and control cabinets. We understand businesses have around-the-clock needs and when it comes to service, every second counts. We offer 24/7 emergency service and comprehensive maintenance, cleaning and analysis solutions to ensure systems are operating at peak performance. Our clients have access to the latest technologies in remote system monitoring, diagnostics and data collection for critical, real-time information. Our capabilities as a turnkey electrical and datacom contractor enhance our automation solutions by ensuring optimal integration across your company’s systems. Reach out to learn more about how Gettle’s MCC container engineering and installation capabilities can support your project.